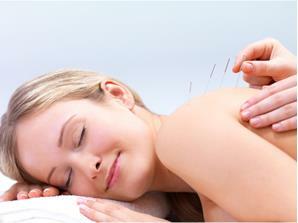 Acupuncture has been used for over 5,000 years to treat many conditions and illnesses. It has been shown to be effective for chronic, vague and hard-to-diagnose conditions that do not respond well to orthodox medical treatment. We specialize in classical acupuncture using disposable sterile needles, in addition to electrical stimulation, laser acupuncture and auricular therapy (ear acupuncture). Laser acupuncture may be used in place of needle acupuncture for those who prefer using needless acupuncture. Coverage for Acupuncture through extended health care insurers and included auto accident claims. A Breakdown in body function and communication occurs when blockages or lesions develop along the body's meridians, creating disease. Meridians are your body's electrical conduits or neural pathways. The Chinese refer to the electrical impulses as chi. Both intrinsic factors (such as excessive emotions-fear, anxiety, anger, sadness) and extrinsic factors (such as trauma, injury, pollution, diet and poor posture) can result in blockages or energy cysts along the body's meridians or within an organ itself. The effectiveness of acupuncture has been related to the manipulation of the points on the body or ear, in order to balance and remove blockages within the meridian or organ. There are more than 2,000 Acupuncture points on your body and over 200 points on the ear. Stimulation of the meridians triggers the release of beneficial chemical proteins called neuro-peptides (np's). Nps's have a powerful effect on dampening pain. Np's also prompt the body's self-healing and self-regulating systems. At the same time, photons within your cells become activated, causing energy impulses to travel instantly throughout the body to interact with regulatory systems such as the endocrine and nervous system. Toxins are released from the cells to be flushed out by the lymphatic system. As the energy begins to shift and open, a greater amount of energy and blood are circulated throughout the body, effectively nourishing it. Since emotions are also electrical impulses that travel throughout the body via the nervous system, acupuncture can induce a re-balancing of emotions leaving you with a feeling of calm and emotional release. We also offer cosmetic acupuncture as a natural way to invigorate and enhance skin vitality so your skin appears youthful and vibrant. During your initial consultation, an in-depth medical history will be taken, along with an overall TCM assessment, which involves palpation, observation of nails, eyes, ears, tongue, hair and skin. Detailed questions pertaining to physical, nutritional and emotional lifestyle will be asked. After an in-depth analysis and an overall picture of the cause(s) contributing to your symptoms are made, specific acupuncture points will be carefully selected. You will be asked to lie down. Sterile disposable needles will be gently inserted into your skin and left for approximately 20 minutes. Or laser may be applied as an alternative. During this time you will be left to relax. You may experience tingling, a slight pinch, or no sensation at all. After 20 minutes, the needles will be removed and you will then be provided with a customized wellness protocol. Complimentary supports may be suggested to address nutritional deficiencies, stress, toxicity and lifestyle. Subsequent Acupuncture sessions may be required to optimize your results. Together we will decide a treatment plan that will be ideal to suit your needs. We use the CEPES-Laser which has local and systemic effects. It may be used in place of acupuncture for treatment of scars, blockages (foci), pain and wound healing.